For Law Enforcement Personnel- Edited by Trooper Brad Sprague and Lieutenant Mark Karczewski Illinois State Police. Brad Sprague is an eighteen year veteran of the Illinois State Police currently as a Sergeant. He obtained a Bachelor's Degree in Law Enforcement Administration from Western Illinois University and a Master's Degree in Public Administration from Governor's State University. As a member of the Southwest Regional Incident Management Workgroup, he assisted with the development of a Traffic Incident Management Program that he has taught throughout the State of Illinois to police, fire and emergency responder agencies. 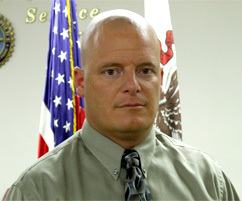 Sergeant Sprague co-developed the Traffic Incident Management program that is utilized at the Illinois State Police Academy and is assigned as a member of the Illinois Highway Incident Management Training Group that has developed a statewide training program that is currently being delivered to all facets of emergency responders. He participated in the National Roadway Incident Safety Summit marking the ten year Anniversary of the Publication of Protecting Emergency Responders on the Highway. Brad Sprague is a twenty-five year veteran of the Minooka Fire Protection District currently holding the rank of Captain in charge of the Training Division. 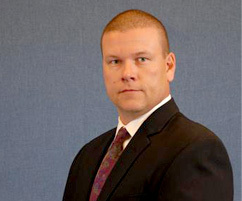 He holds certifications as a Fire Officer II, Instructor III and Training Program Manager. As a lead-instructor at the Chief Shabbona Fire Academy he developed the curriculum for the Traffic Incident Management Program. Brad Sprague brings a diverse experience as both a practitioner and Instructor within the application of Traffic Incident Management. Mark Karczewski is a twenty year veteran of the Illinois State Police currently holding the rank of Lieutenant. He obtained a Masters Degree in Public Administration and is a graduate of Northwestern University's School of Police Staff and Command. He has conducted extensive research on emergency lighting and brought the issue of responder safety to the forefront as a speaker at the Transportation Research Board conferences and as a contributor to the National Conference on Traffic Incident Management. As the Co-Director of the Southwest Regional Incident Management Workgroup, he was actively involved with the Gary-Chicago-Milwaukee Corridor Project. As a practitioner of Traffic Incident Manager and an administrator, he was tasked with developing curriculum for the course of instruction given to cadets and recruits at the Illinois State Police Academy. This course has been in place for several years and is also being offered as in-service training for personnel in the field. Search Law Enforcement by year or by year and month. Respondersafety.com is pleased to provide links for two excellent articles on Officer Safety on the Roadway.